Get ready to click: The UT holiday gift guide goes live on Cyber Monday, Nov. 27. The University and Learfield Sports have suggestions for Rocket fans of all ages and all budgets. Go to http://bit.ly/Toledo_Holiday. You’ll find men’s and women’s shirts, sweatshirts and hoodies, as well as spirited seasonal fare, including a UT nutcracker. 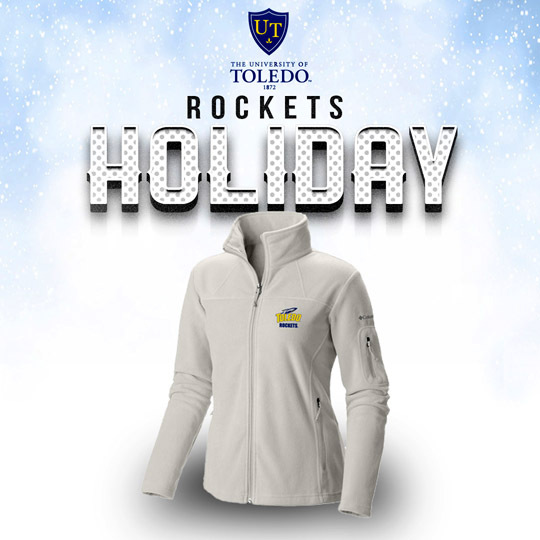 Make it a midnight blue and gold holiday: Check out the UT attire, accessories and decorations. Go Rockets! “Developing an Intelligent Smartphone Application for Language Learning: Progress and Challenges” will be discussed Wednesday, Nov. 29, at 1 p.m. in Memorial Field House Room 2420. 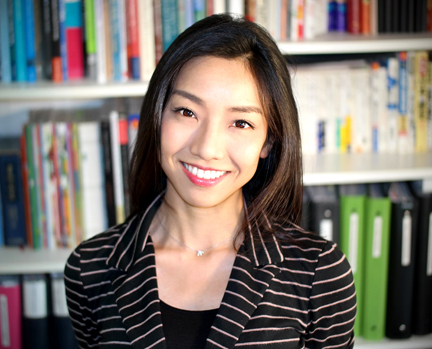 Dr. Kasumi Yamazaki, assistant professor of Japanese, will deliver the lecture hosted by the Department of Foreign Languages. Her presentation will showcase the new intelligent smartphone application called KAI, which she developed in collaboration with Honda Research Institute Japan Co. Ltd.
KAI helps people in their advancement of fluency in another language by collecting real-time interactions at social occasions and allowing users to share their interactions in order to receive corrective feedback from language experts. The lecture will include a demonstration of KAI, discussions of its advantages and challenges, and recommendations for future studies. Research has shown that learning another language creates a positive relationship between second language motivation and global competence, has far-reaching academic and cognitive benefits, increases social and communication skills, and expands employment opportunities. For more information on the free, public lecture, contact Yamazaki at kasumi.yamazaki@utoledo.edu. Looking for some great deals on gifts for UT fans this holiday season? Maybe you want to spruce up your Rocket wardrobe? Stop by Rocky’s Locker Pop-Up Store this week! The store will be open Monday, Nov. 27, through Friday, Dec. 1, from 10 a.m. to 7 p.m. in the Thompson Student Union across from Chick-fil-A. Students, faculty and staff can score some deals on UT merchandise by Champion, 47 and Under Armour. Check out coats, jackets and vests; long-sleeve fleece and sweatshirts; and hoodies, pants, T-shirts and caps. Prices range from $10 to $25, with coats from $40 to $60. And there’ll be a rack of sweatshirts, T-shirts and hoodies for $5. While supplies last, Apple EarPods and Earphones will be given for purchases of $100 or more. In addition, the first 50 customers who make a purchase will receive a Texas Instruments calculator. 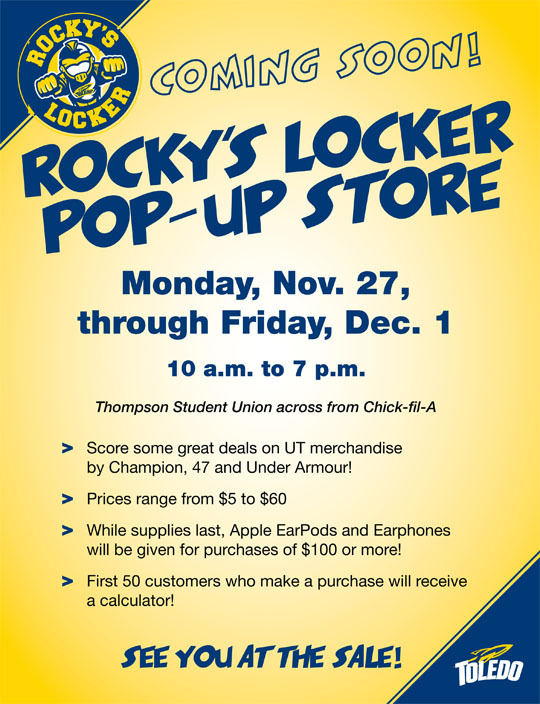 Look for another Rocky’s Locker Pop-Up Store near the end of spring semester. Wednesday, Nov. 29, colleges and universities across the country, including The University of Toledo, will unite students by providing a space to study, write and prepare final assignments during the end of semester crunch. 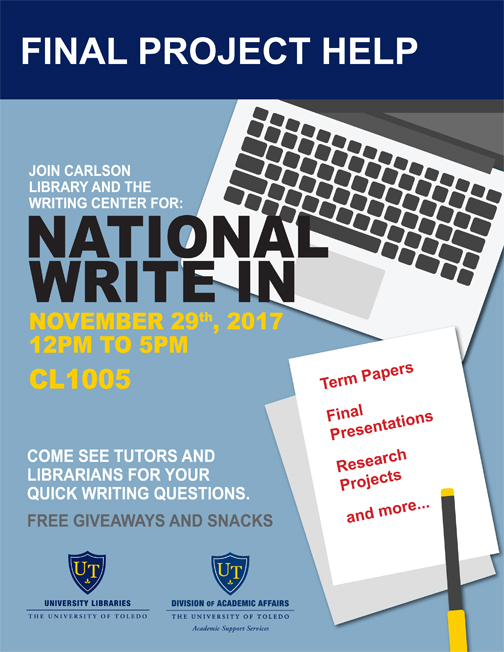 Carlson Library and the Writing Center will host a National Write-In from noon to 5 p.m. The event will take place in Carlson Library Room 1005. Writing tutors and librarians will be available to answer students’ writing and research questions. There will be giveaways, and snacks will be available. For additional details, contact Elaine Reeves, senior lecturer in University Libraries, at 419.530.2868 or elaine.reeves@utoledo.edu or Clayton Chiarelott, coordinator in the Writing Center, at 419.530.7753 or clayton.chiarelott@utoledo.edu. 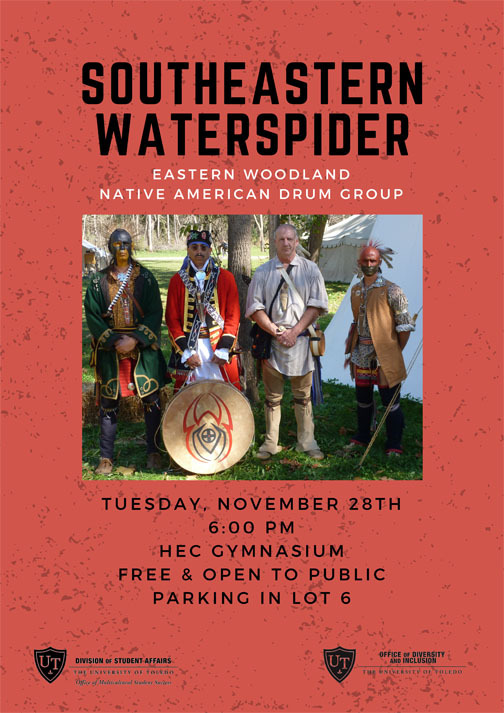 The SouthEastern WaterSpider, an Eastern Woodland Native American drum group, will visit The University of Toledo Tuesday, Nov. 28. The ensemble will perform a free, public concert at 6 p.m. in the Health Education Center Gymnasium on Main Campus. The group will play traditional Eastern Woodland songs that have been approved by their elders as being genuinely Eastern and indigenous. The event honors the people of the Eastern Woodlands and clears the misconception that all Native Americans moved west during the Indian Removal Act from 1832 to 1845. For more information, contact the Office of Multicultural Student Success at 419.530.2261. Attention UT students: Here’s your chance to go to Detroit for the 2017 Mid-American Conference Football Championship with The University of Toledo Alumni Association. Registration for the bus trip will open Monday, Nov. 27, at noon. Reservations will be accepted starting at noon Monday, Nov. 27. Make plans to join The University of Toledo Alumni Association for a bus trip to the Mid-American Conference Championship Game to cheer on the Rockets when they battle the University of Akron Saturday, Dec. 2. Seven buses have been reserved to transport alumni, students and fans to the game and pregame party in the Comerica Gridiron Club at Ford Field. Transportation includes the cost of parking, driver tip, soft drinks and bottled water. • A cash bar will be available. Buses will depart from Rocket Hall at 7:30 a.m. with the pregame party scheduled from 9:30 to 11:30 a.m., prior to the kickoff at noon. Buses are expected to return at approximately 6 p.m.
Because the Alumni Association is contractually bound for bus rental, facility rental and catering charges, There will be no refunds for cancellations. • Pregame party only — $35 per person for those who have their tickets and plan to travel to Detroit on their own. • Complete package — $95 per person for game ticket, bus trip, and pregame party at Ford Field. • Bus trip and pregame party only (no game ticket) — $75 per person for athletic donors/season ticket holders who wish to purchase their seats through the Athletic Department. • Pregame party and game ticket only — $55 per person for those who plan to travel to Detroit on their own. Bus space is available on a first-come, first-served basis. A total of 350 seats are available. The pregame meal is limited to the first 600 reservations, which includes the 350 bus seats. Game tickets will be $20 seats in Ford Field. The deadline to make reservations for the bus trip is Thursday, Nov. 30, or until all seats are filled. Complete, non-refundable payment must be received with your reservation. Pregame party reservations will be accepted until room capacity is reached. A special bus trip and ticket package for UT students will be available Monday, Nov. 27, at noon. A link to that website will be posted when it is available. Tickets for the MAC Championship Game may be ordered online at utrockets.com or call the UT Athletic Ticket Office at 419.530.GOLD (4653). Orders placed before 5 p.m. Tuesday will receive priority seating. Rocket Fund contributors and Rocket Football season ticket holders will receive priority-seating locations over the general public. Any orders placed after 5 p.m. Tuesday will receive best available seating. Tickets for the 2017 Mid-American Conference Football Championship Game may be ordered online at utrockets.com. The Rockets, champions of the MAC West Division, will face Akron, champions of the East, at Ford Field in Detroit Saturday, Dec. 2. Kickoff is set for noon on ESPN. The Rockets celebrated after beating Western Michigan, 37-10, to win the MAC West Division and advance to the MAC Championship Game. The Rockets will play Akron Saturday, Dec. 2, at noon at Ford Field in Detroit. Tickets may be ordered online at utrockets.com. All orders placed before 5 p.m. Tuesday will receive priority-seating assignments in the Toledo sections of Ford Field — behind the Rocket bench, sections 123-131. Rocket Fund contributors and Rocket football season ticket holders will receive priority-seating locations over the general public. Seats will be assigned based on donation and season ticket history. Any orders placed after 5 p.m. Tuesday will receive best available seating. Orders may be placed over the phone at 419.530.GOLD (4653) or in person at the UT Athletic Ticket Office Saturday, Nov. 25, from 9 a.m. to 2 p.m.; Monday, Nov. 27, from 8:30 a.m. to 7 p.m., or Tuesday, Nov. 28, from 8:30 a.m. to 5 p.m.
All tickets can be picked up at the UT Ticket Office in Savage Arena beginning Wednesday, Nov. 29, at 9 a.m. until Friday, Dec. 1, at 7 p.m. A photo ID is required to pick up tickets. Rocket fans attending the women’s basketball game Thursday, Nov. 30, also may pick up their tickets at the UT Ticket Office before or during the game. Any tickets not picked up by Friday at 7 p.m. must be picked up at Ford Field at the UT Will Call area at Gate C beginning at 9 a.m. Ford Field gates will open at 10:30 a.m.
UT student tickets are available for $5 and are located in the end zone. UT Students may purchase one ticket at the student rate. Any additional tickets in the student section will be $10. Student tickets are available only at the UT Athletic Ticket Office beginning at 9 a.m. Monday until Friday at 7 p.m. (if still available). Students must show their Rocket ID at the time of purchase. The UT Alumni Association is sponsoring bus trips to the MAC Championship Game for alumni, friends and students, as well as a pre-game reception. For more information, go to toledoalumni.org or call 1.800.235.6766 or 419.530.2586 (ALUM). Senior quarterback Logan Woodsidethrew for 300 yards and two touchdowns as Toledo cruised to a 37-10 victory over Western Michigan at the Glass Bowl Friday afternoon. 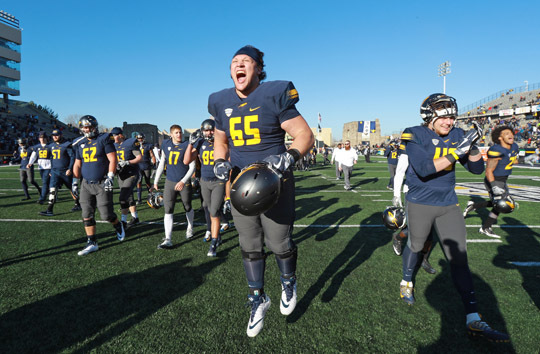 The victory clinched the Mid-American Conference West Division title for Toledo. The Rockets (10-2, 7-1 MAC) advance to the MAC Championship Game vs. East Division winner Akron (7-5, 6-2 MAC) at Detroit’s Ford Field Saturday, Dec. 2. Kickoff will be at noon, and the game will be televised by ESPN. It will be Toledo’s first appearance in the MAC Championship Game since 2004. 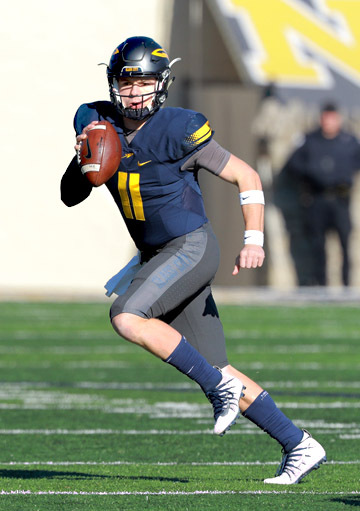 Senior quarterback Logan Woodside threw for more than 300 yards in the regular season finale and became the first Rocket to throw for more than 10,000 yards. He has 10,083 yards in his four years at Toledo. Woodside and senior running back Terry Swanson both reached personal milestones. Swanson, who rushed for 94 yards and scored two touchdowns, moved into fifth place on UT’s career rushing list with 3,377 yards, passing David Fluellen (3,336 from 2010 to 2013). Woodside became the first Rocket ever to throw for more than 10,000 yards. He has 10,083 yards in his four years as a Rocket. Toledo opened the scoring on its third drive of the game with a 33-yard field goal by Jameson Vest with 2:12 left in the first quarter. Later in the second quarter, Swanson made it 10-0 with a 13-yard TD run. Western took advantage of a Woodside interception to set up its first score of the game, a 24-yard field goal by Josh Grant to cut the score to 10-3 with 7:02 to play in the half. But Toledo answered with a nine-play, 61-yard drive that was capped off by a one-yard run by redshirt freshman Shakif Seymour, giving Toledo a 17-3 lead with 3:20 left in the half. Woodside kept it rolling in the second half, hitting Danzel McKinley-Lewis with a 20-yard TD strike on UT’s first possession of the third quarter. Western cut the lead to 24-10 on a 26-yard touchdown pass from Reece Goddard to Tyron Arnett with 4:02 left in the third quarter. Woodside then added another TD pass, a 13-yarder to Diontae Johnson with 17 seconds left in the third quarter to give Toledo a comfortable 31-10 lead. Vest tacked on six more points with a pair of field goals in the fourth quarter. Toledo will begin preparing for the Mid-American Conference Football Championship Game next Saturday. Tickets for the games may be ordered online at utrockets.com. 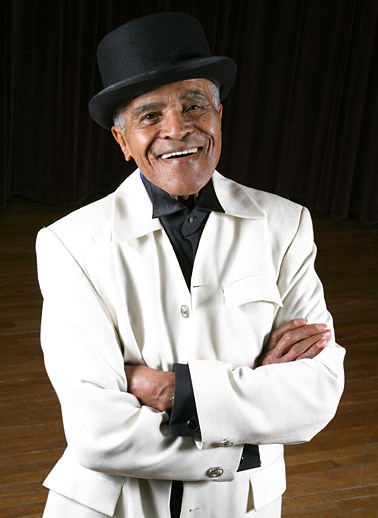 Jon Hendricks, a legend in the jazz world who taught at The University of Toledo 16 years, died Nov. 22 at age 96 in New York City. The UT Distinguished Professor of Jazz struck a lasting note in the music world. In 1957, he formed the jazz vocal group Lambert, Hendricks & Ross. The trio refined vocalese, whereby voices are arranged to sing the parts of instruments. Vocalists Bobby McFerrin, Al Jarreau and the Manhattan Transfer cite the group’s work as a major influence. Hendricks was born in Newark, Ohio, in 1921. His family moved to Toledo when he was 4 years old. They lived on the same street as Toledo’s other jazz legend, pianist Art Tatum. “Everything for me started right here in Toledo,” the superstar said in a 2012 interview. “When I was 12 or 13, I stood in front of the juke box at Stanley Cowell’s hamburger joint on Indiana Avenue and learned every song. And when people would come up to play it, I’d say, ‘What are you going to play?’ And they’d say, ‘What’s it to you?’ I said, ‘Give me the nickel, I’ll sing it.’ And they’d say, ‘I’d like to hear that.’ So they’d give the nickel, and I’d sing them the song they were going to play. “As I look back on it, that’s where vocalese came from,” Hendricks said. The Scott High School graduate sang in Detroit and in the Glass City — until he was drafted into the army in 1942. After serving his country, Hendricks returned to Toledo. In 1946, he enrolled at The University of Toledo, where he studied literature and law. Some of his poetry was published in The Collegian, UT’s student newspaper. All the while, he worked as a singer and drummer at night. Hendricks even sat in with Charlie “Bird” Parker when he played the Civic Auditorium in Toledo in 1950. It was the saxophonist who encouraged him to go to New York City. With $27 in his pocket, Hendricks went to the Big Apple in 1952 and found Parker playing at the Apollo Bar. “[Parker] had already told everybody about me, so I had an instant entry into the jazz world. I had sung with Dizzy [Gillespie], so I knew Dizzy and he talked about me, too. So everybody knew me,” he recalled in a 2004 interview. Hendricks started writing and trying to sell his songs. After some success on his own, he teamed up with Dave Lambert. In 1955, they wrote “Four Brothers,” which they recorded as Jon Hendricks and the Dave Lambert Singers. The two continued to be innovative in the studio and began recording vocalese versions of Count Basie songs. 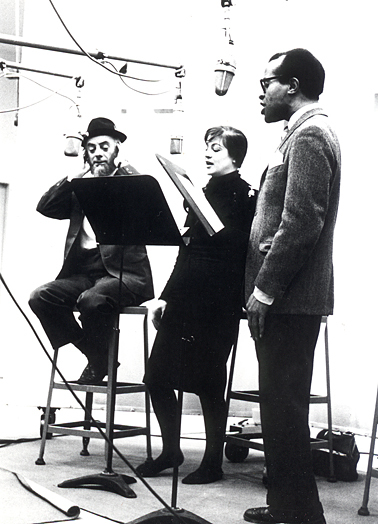 Enter British jazz singer Annie Ross. She performed the trumpet and piano parts; Lambert took trombone and middle-tone sections; and Hendricks sang saxophone sections. Thanks to multi-track recording, the result was an orchestral sensation. “Sing a Song of Basie” by Lambert, Hendricks & Ross was released in 1958. Accolades abounded. The trio continued their success, teaming up with the Count Basie Orchestra for “Sing Along With Basie” in 1959. Buoyed by their growing reputation as masters of setting lyrics to jazz standards, the group released two more albums that same year — “The Swingers” and “The Hottest New Group in Jazz.” The title of the latter was courtesy of a critic. The three became a force in the music world and recorded nearly 30 albums. Ross left the group in 1963, and Lambert and Hendricks went their separate ways a year later. 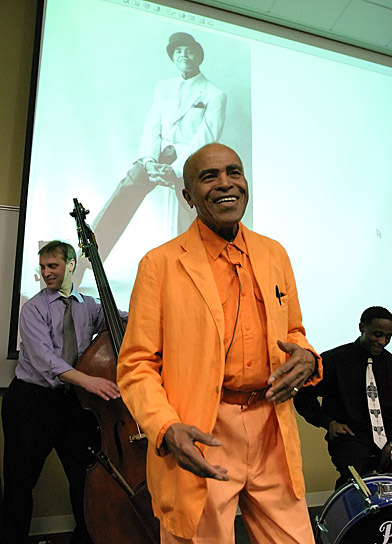 UT music students had the chance to learn jazz history from a man who helped shape it: Jon Hendricks. As a solo artist, Hendricks continued to gain attention behind the microphone. His early recordings included “Bossa Man” (1963), “Salud!” (1964) and “Watermelon Man” (1965). He also sang with the Count Basie Band from 1959 to 1965 and with Duke Ellington from 1965 to 1974. Another collaboration found Hendricks recording a song with the Grateful Dead in 1966. After living in London from 1968 to 1973, Hendricks moved back to the States and was a jazz critic at the San Francisco Chronicle for three years. He also added teaching to his resumé. He taught jazz classes at California State University at Sonoma and the University of California at Berkeley. And the records kept coming: “Cloudburst” (1972), “Tell Me the Truth” (1975), “September Songs” (1976). He also took his family into the studio. Released in 1982, “Love” featured his wife, Judith, and their children. Other albums included “Freddie Freeloader” (1990), “Boppin’ at the Bluenote” (1995) and “Live at the Bluenote” (1999). While always in demand as a singer, he never got far away from his way with words. Over the years, he penned lyrics for music written by Ellington, Miles Davis, Sonny Rollins and Antonio Carlos Jobin. Thelonious Monk wouldn’t have anyone else but Hendricks write words for his songs. The Manhattan Transfer paid tribute to Hendricks in 1979. They asked him to write lyrics for Joe Zawinul’s “Birdland” for their album titled “Extensions.” That song won a Grammy Award. He teamed up with the group again in 1985 for “Vocalese”; he provided words for the whole album. His duet with McFerrin on that record earned a Grammy Award for best jazz vocal performance. In 1997, Wynton Marsalis asked Hendricks to contribute to the libretto for the concert opera, “Blood on the Fields,” which won a Pulitzer Prize. Hendricks also narrated and sang in the show about slavery in America. Through the years, Hendricks received numerous awards. In 1992, he was the recipient of the highest honor given to a jazz artist — the National Endowment for the Arts American Jazz Masters Fellowship. He was given a French Legion of Honor in the class of knight — France’s highest civilian commendation — in 2004. And in 2014, he took home the Satchmo Award for his lifetime commitment to jazz. 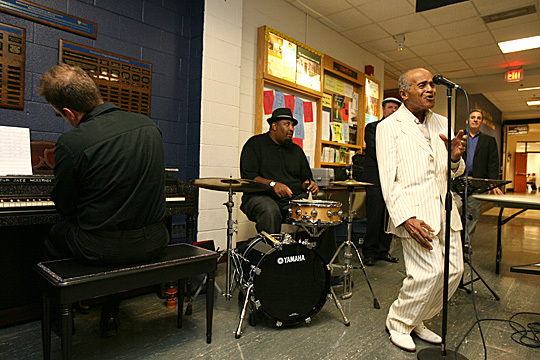 Jon Hendricks sang in the Student Union in 2009. The legend retired from his UT teaching gig in 2016. Earlier this year, Hendricks saw the premiere of a longtime project, “Miles Ahead.” He began writing lyrics for the Davis album arranged by Gil Evans nearly 50 years ago.